← Anniversary of La Marseillaise – or should that be La Strasbourgeoise? Toulouse: pink, violet or blue city? Toulouse is such a big place with so much going on that one little blog post can’t hope to do it justice. It’s known as ‘la ville rose’ (the pink city) because of its pink brick buildings. However, it has to share that title with a number of other towns in the region including Albi and Montauban. The latter is even known as ‘the pinkest of all the pink cities’. I’m fed up with seeing magazine articles about Toulouse with punning titles such as ‘La Vie en Rose’ or ‘A Rose Red City’. In fact, Toulouse is also known for its floral emblem, the violet. Every February, there is a violet fair, which celebrates all kinds of violet products, from sweets to mustard. Toulouse was also the centre of the regional trade in pastel (blue dye used for colouring cloth). But the pink city soubriquet sticks. We visited a few weeks ago when I had to attend the regional finals of a language contest (see the post here). We decided to make a day of it and while I slaved away over past participles and indirect pronouns, the Statistics Freak had a look round. He got the better deal. 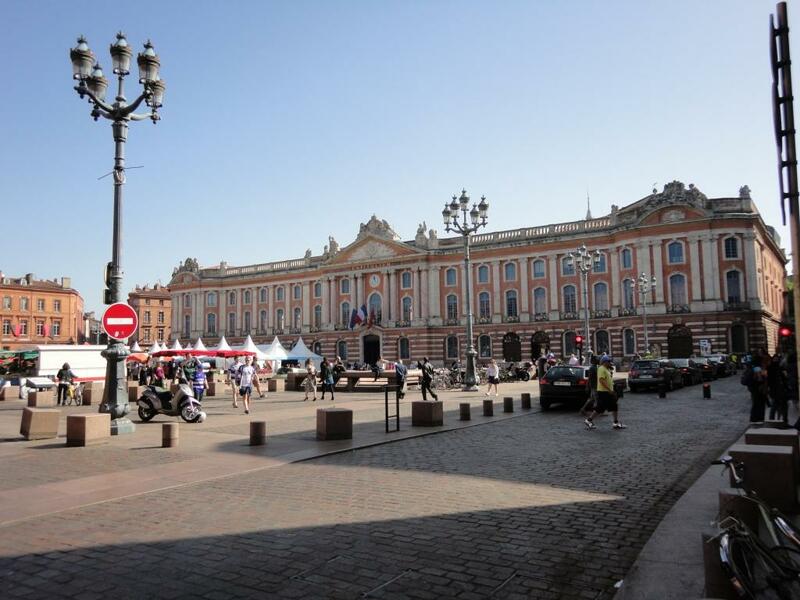 Toulouse is now France’s 4th city, after Paris, Lyon and Marseille. It seems to contest the title with Bordeaux, but Toulouse is certainly bigger if less refined (Toulousains would probably contest that statement). There has been a settlement on the site for more than 2,000 years, since this was the last point at which the River Garonne could be forded before the Atlantic Ocean. The Romans occupied it from the 1st to the 5th centuries AD and named it Tolosa. They also brought the techniques of brick and tile manufacture. During the middle ages, Toulouse had a turbulent history. The counts of Toulouse were never very secure and suffered from various wars of succession, the incursion of heretic Catharism and the opposition of the Capitouls. The latter were elected by the six different neighbourhoods of Toulouse to administer the city, under the aegis of the count. A Toulouse parliament was instituted in the 14th century but the French Revolution put an end to the city’s relative independence and it became simply a departmental capital. Toulouse has always been a significant trading centre and much of its late medieval and Renaissance prosperity was founded on the pastel trade. It was also an important stage on the pilgrimage route of Saint-Jacques de Compostelle. Today, it is a centre of the aerospace industry (notably Airbus). In the 14 years we have lived here, Toulouse Blagnac Airport has been developed out of all recognition. Toulouse has a host of markets, indoors and out. 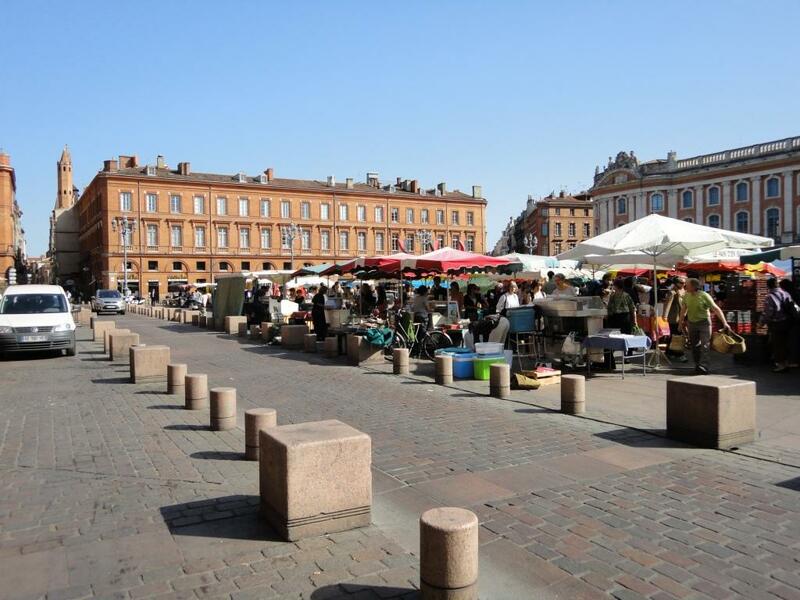 Every Saturday, there is a market in the huge central Place du Capitole, presided over by the grand 18th-century buildings. Cafés line two sides of the square under the arcades. You can sit nursing a cup of (expensive) coffee for as long as you like and people-watch. Probably the best market is the covered Marché Victor Hugo, where 100 stallholders sell edible products of all kinds. This is how foreigners imagine French markets to be. This one is a feast for all the senses. There are the colours of the freshly caught fish and shellfish and the vegetables and game; the noise of the busy shoppers debating their purchases with the stallholders; the pungent smell of cheeses and spices; the taste of ringlets of local charcuterie and cubes of regional cheese held out by the stallholders, tempting one to buy; the feel of the vegetables – papery garlic bulbs from the Lomagne, plump asparagus spears from the Landes and smooth aubergines from the Languedoc. The sight of all this food acts as an appetiser but you don’t have to go far to satisfy your hunger. Upstairs there are five restaurants in a line, where you rub shoulders with the locals and eat locally sourced produce. 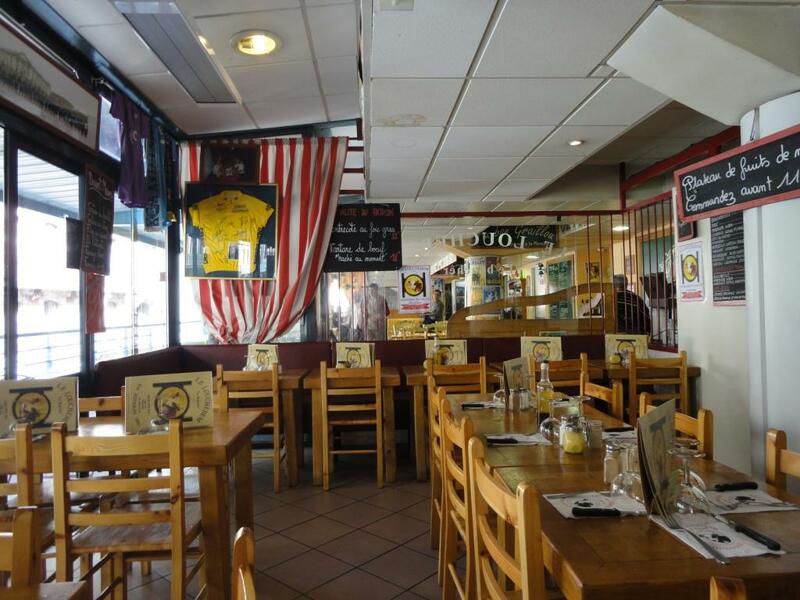 We ate at Le Louchebem (dialect for butcher), where, not surprisingly, they specialise in meat. Since we were in a bit of a hurry, we had just a main course and some cheese. The SF had a rare steak, which he said melted in the mouth. I had an escalope de veau with a foie gras sauce. Sounds horribly rich, but it wasn’t. Washed down with a couple of glasses of Fronton wine (produced 20km from Toulouse) and I was set up for my afternoon’s exam. Le Louchebem do menus from 15 euros on a Saturday – 12 euros during the week. Musée des Augustins: Toulouse’s fine art museum, set in a 14th-century monastery. Rooms are devoted to Romanesque and gothic sculpture and to paintings from the 17th to 20th centuries. The latter include works by Rubens, Delacroix and Toulouse-Lautrec. Les Abattoirs: the former city abattoirs are the place to go for modern art. Le Musée du Vieux-Toulouse: history of the city. La Basilique Saint-Sernin: the soaring spire of this magnificent red-brick church is a landmark throughout the city. Dating from the 11th century, it is considered the biggest church of its type in the west. Ensemble Conventuel des Jacobins: monastery founded by the Dominicans, 13th-14th centuries. There are also a number of imposing houses constructed by merchants who grew rich on the pastel trade. There’s plenty more, so I will probably do some more Toulouse posts in the future. This entry was posted in French life, History, Places and tagged Basilica of Saint-Sernin, France, living in France, Midi-Pyrenees, Place du Capitole, SW France, Toulouse. Bookmark the permalink. 11 Responses to Toulouse: pink, violet or blue city? Yes, loved all the architecture in this post, and the foodie insight – but all the way through my imagination was back right at the start and the violet fair. I’ve never heard of one before, and it sounds exquisite! I haven’t been to the violet fair yet. I missed this year’s since it’s early on in February and I thought it was later. However, it’s on the list for next year. No doubt a post will follow! I don’t want to be heavy, but the Cathares castles have no equivalent in Europe . Maybe in the Andes or in Thibet you can find some sites of the same kind and the same historical and spiritual weight . Lastours is not that far for you, since it’s north of Carcassonne, about 50 miles east of Toulouse . It’s not utterly as spectacular as the Pyrenean ones, but it’s beautiful, with hundreds of dark green yews on the yellow slopes. Just remember the names I gave you : they are the best . And choose a sunny day for the view from there . Sorry, I love those places too much . I can tell you’re very attached to those places. I have, of course, seen pictures of them, but that’s nothing compared to seeing them in reality. I promise I will get there one day! As you live not far, I hope you went to the stupendous Cathare castles, specially Peyrepertuse ( my favourite ), Quéribus, Puylaurens and Montségur, and on the other side of the motorway, in the Montagne Noire, Lastours . I guess you ‘ve been . The best moment is a hot summer day, when you can feel the heat and thirst . Only thirst has made them surrender after long sieges, since they were impossible to take by force . I felt there as in Inca temples, on top of the mountains in solar temples . Not far from Queribus there’s a tiny medieval hamlet with a church hanging on the wall of a canyon ( the church is dug inside the cliff ) . It’s called ” l’ermitage de Galamus” and is worth the trip . You have kindly given me the benefit of the doubt, but here I have to admit that I haven’t visited any of those Cathare fortresses – not yet, anyway. What I know about them comes from what I have read, e.g. Emmanuel le Roy Ladurie’s Montaillou, among others. Living in the Quercy-Rouergue, it’s quite a trek down there from here – but that’s just an excuse. They are on my list of things to do, but I doubt if I will achieve it this year. Toulouse has always been my favourite city in France . In the 80′, it was the best place for gigs in night bars . Even on mondays you could find several ( more than in NY actually ) . And people were so warm . The butcher or the baker’s wife chatted with you in the shop and “tutoyait” like in Quebec . People in night bars were smart, elegant with a sense of humour and provocation I shared, most beautiful girls easy to speak with . Lots of music and a light madness . What a good time and good place ! The counts of Toulouse didn’t suffer from catharism, they supported it . All along the bloody crusades against Catharism they fought against northern Barbarians from northern France, England and Germany . But Raymond capitulated in front of the pope, when threatened of excommunication ( which was a big deal by the time ) . South of France, capital Toulouse, was the richest place in this time when Mediterranee was THE civilisation, but it also was the most democratic for this dark age ( the Capitouls), the most tolerant, accepting Jewish and Muslims . A lot of Jewish esoterism, the Kabbalism, was written around Toulouse, and women were treated as well as men . How better France and Europe would have been if the north hadn’t slaughtered and looted the south under the Catharism pretext . I advise you to visit 3 churches full of secret traditions and symbols : la Dalbade, la Daurade and Notre-Dame-du-taur . Albade white, Dorade gold and the Taur black . There’s an old astrological link between Toumouse and the Taurus ( Taur ) . The train station is in Matabiau, which means in Occitan “kill the ox”, the bull, just like the Minotaure’s death in Cnossos . But to enjoy those visits you need a guide book, not just touristic but full of real knowledge . There are many extraordinary things about Toulouse . But in a lighter tone, have you heard the magnificent song by Claude Nougaro about his city ” Toulouse” ? This melody tears me in a unknown nostalgy . Thanks very much for your insights. I’ll certainly visit those three churches next time I go. When I said the counts of Toulouse suffered from Catharism, I really meant that they suffered from the reaction against Catharism, which you so graphically describe. They had to knuckle under in the end, under threat of excommunication. Toulouse itself was very divided at the time by the struggle between the Cathars and those in the city who still supported Catholicism. It’s not easy to get all this over in a short blog post. I expect I will come back to all this later on. P.S. 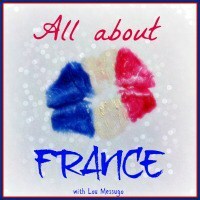 I don’t know the Claude Nougaro song, although I knew he was a son of Toulouse. I will have to find it. I’ve been to Toulouse once, a long time ago. It’s a beautiful city. I hadn’t heard of pastel before, that’s fascinating. I imagine the violet market is a wonderful sight.